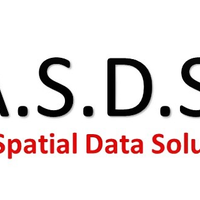 Advanced Spatial Data Solutions, LLC. is a spatial analytic consulting firm that specializes in Geographic Information Systems (GIS), vectorization of hard copy data (maps, cross sections, well logs, well files), and the acquisition of aerial data with drones. Our services have been successfully deployed in industries such as construction, oil and gas, real estate, marketing and media, municipal inspection, 3D modeling, and solar energy. Spatial analytics is the science behind how we understand spatial relationships and patterns in the world and utilize this data to solve problems. We are experts at finding advanced solutions to problems requiring an understanding of 1) where things are spatially, 2) how they relate spatially, and 3) what decisions to make based on the spatial information available. We will strive to earn your company's respect and confidence by leveraging our experience with Geographic Information Systems (GIS), 10 years of geological modeling in the Oil and Gas industry, and a wide array of technical skills and acumen to offer you the best spatial products available.